A recently filed Apple patent application has revealed the firm’s idea for a tablet-style Mac. The “Display Housing for Computing Device” application – which specifically mentions a portable computer - was filed last month. It describes how such a device would be constructed and, to a lesser extent, what its internal components would be. 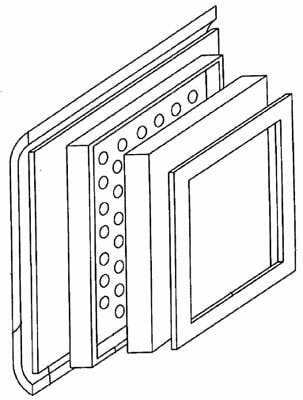 For example, the application talks about an invention with “a suspended frame" able to support “a display panel within a display housing”. An internal antenna would be included, Apple said, and be configured to transmit or receive RF signals. Talk of “a logo or other symbol” that can be illuminated using light from the backside of a display sounds suspiciously like the potential device could sport a light-up Apple logo on its rear, just like its laptops currently do. The application also mentions how the display’s backside could again be used to illuminate design elements or features. A translucent housing is pointed out too.